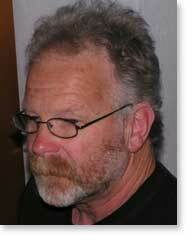 John MacKinven is a writer and freelance editor based in Auckland . Several of John’s stories have won or been shortlisted for national awards. Garden of Eden took first place in the Rodney Writes short story competition in 2009. Hokianga was shortlisted for the Royal Society of New Zealand Manhire Prize for Creative Science Writing in 2008, and Poetry Man was shortlisted for the novice section of the BNZ Katherine Mansfield Short Story Competition in 2007. Snow on the Desert Road was judged first equal in the 2008 Heartland competition, and has proved to be the springboard for John’s current project, his first novel.